For more than 40 years, Monsanto’s Roundup® products have formed the basis of weed control programmes in many crops across the country. Glyphosate is effective in the control of grasses and herbaceous weeds as the glyphosate is absorbed into the plant through its leaves and soft stalk tissue before being transported throughout the plant. Glyphosate’s unique action in plants involves the inhibiting of a single enzyme only found in plants. Therefore, glyphosate only controls plants and not microorganisms or animals and insects. Once glyphosate is translocated to the roots the plant will die within 7 to 14 days. With the new generation patented TranSorb® technology the product is rain fast within two hours, which enables farmers to control tough, perennial weeds not normally controlled through residual herbicide programmes. Roundup PowerMAX® puts you in control of weeds in Roundup Ready® systems, but it is recom-mended to avoid using Roundup PowerMAX® as a single product in such a system. Water quality, the volume of the spray solution and application practices are critical for successful weed control with Roundup® as it effects the efficacy of glyphosate. Only clean, high quality water must be used. Sometimes a buffer is necessary to keep the pH of the solution between 4 and 6,5. The Roundup® product range is non-selective and must be used with caution. 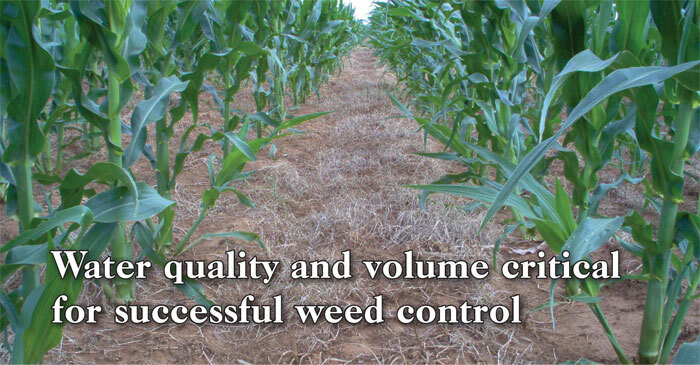 Effective weed control with herbicides starts by adhering meticulously to the recommendations on product labels. Roundup Turbo contains 450 g glyphosate/ℓ. Caution. Herbicide resistant group G, Reg. Nr. L7166 (Act Nr. 36 of 1947). Roundup PowerMax® contains 540g glyphosate/ℓ. Caution. Herbicide resistant group G. Reg. Nr. L7769 (Act Nr. 36 of 1947). Roundup® Turbo and Roundup PowerMAX® are registered trademarks of Monsanto Technology LLC.